— GOYAN on Apr 2, 2018. — Rudolph on Nov 20, 2017. — Francoise L. on Nov 20, 2017. — Kia M. on Nov 2, 2016. — Ivan N. on Nov 1, 2016. — JP on Jun 6, 2016. — Dylan C. on May 6, 2014. — Robert P. on May 6, 2014. — Athena on Mar 25, 2014. — Sherry G. on Mar 25, 2014. — Ricky H. on Mar 5, 2014. — Shelley S. on Mar 5, 2014. — Chris c. on Feb 5, 2014. — Ron H. on Feb 4, 2014. — Danielle on Feb 4, 2014. — Shane on Feb 4, 2014. — Katie N. on Feb 4, 2014. — Dion K. on Jan 17, 2014. — Brice G. on Jan 8, 2014. — Sharee on Jan 7, 2014. — Monica P. on Jan 7, 2014. — Jeff on Nov 21, 2013. — Dean S. on Nov 21, 2013. — Darrell on Oct 11, 2013. — Trey on Apr 27, 2013. — Aaron B. on Apr 25, 2013. — Walter P. on Mar 7, 2013. — Elisabeth G. on Feb 20, 2013. — Amy on Jan 24, 2013. — Lee F. on Oct 27, 2012. — Michaux on Jul 20, 2012. — Jess F on Jul 19, 2012. — Tamara on Jul 19, 2012. — Craig M. on Jul 19, 2012. — Anthony B. on Jun 27, 2012. — Tom L. on Dec 15, 2011. — Tony T. on Dec 15, 2011. — John on Jul 27, 2011. — Rishi P. on Jul 27, 2011. — Nikki W. on Jul 27, 2011. — JW W. on Jun 28, 2011. — Daniel L. on Apr 19, 2011. The Austin Entrepreneurs Meetup Group exists to motivate and enhance successful business inititatives and ventures in Austin Texas. We are a community of entrepreneurs willing to share our stories. Our primary goal is to keep the local entrepreneur informed to their competitive advantage. Our primary objective is not to create a marketplace for entrepereneurs to sell each other products or services but to provide a each other with useful information that will allow all of us to grow in our prospective fields. However, we do encourage trades and transactions that are a common result of such a community. 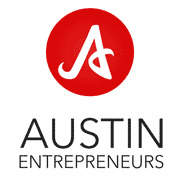 Austin Entrepreneurs mission is to provide the Austin community of business owners and entrepreneurs with valuable insight regardless of where you find yourself (Discovery Phase, Growth, etc) in your endevour(s). If you are an entrepreneur who is looking to connect with other entrepreneurs, this is definitely the group for you. Austin Entrepreneurs will make sure to keep you up-to-date on various social networking events that you might find fun and exciting! Join us today! Why wait another minute to start interacting with other Austin Entrepreneurs?